Under the guidance of the Holy Ghost, Elder Westley Daniel Duffey, III lives to serve in God’s kingdom by preaching and teaching God’s Word. His goal and purpose is to win souls to Christ and to receive eternal life. Born to be a spokesman of the Gospel, Elder Duffey is a native of California, born July 4, 1952 in the city of Victorville. Elder Duffey is the fourth of eight children to the union of Supt. W. D. Duffey, Sr. and Mother H. Beatrice Duffey. He has 5 Sisters- Miss’y Elizabeth Duffey, Dr. Diane Mills, Sis. Malinda Duffey, First Lady Phyllis Johnson, & Sis Dorcas Duffey and 2 brothers Minister Steven Duffey & Minister Phillip Duffey. 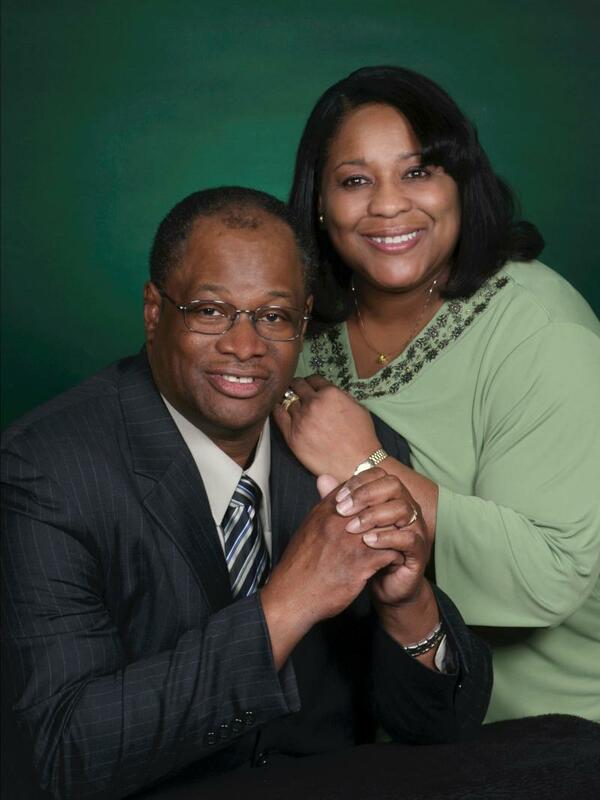 Elder Duffey has served at Evangelist COGIC all of his life. During a great revival conducted by the late Elder Byrd of Oakland, CA. he received the Baptism of the Holy Ghost at the tender age of 12. He had a passion for studying the Word of God. Four and half years later the Lord called him to the ministry. July 23, 1969 the Lord blessed and anointed him to preach his first message. Under the mentorship of his father he served as an active member in various offices in the local church and in the district. During his 42 years in the ministry the Lord has truly blessed greatly in many revivals that he conducted at home and abroad. Souls have been saved, filled with the Holy Ghost, healed, and blessed of the Lord. Many young men have been inspired by his ministry and soon started in the ministry. Some of the places he has been blessed to travel and to share God’s Word include states like Texas, Louisiana, Washington, Georgia, Florida, & Hawaii. In California he‘s conducted successful meetings in Redding, Stockton, Vacaville, Fresno, Oakland, and Bakersfield. In 1975 Elder Duffey was blessed to go through a week long period of fasting without food or water and was healed of a painful stomach problem by JESUS himself while kneeling in prayer in a revival that he was conducting in Stockton, CA. Elder Duffey seeks to lead by example by demonstrating godly character, integrity, stability, and security. Elder Duffey attended the local schools in Pittsburg, CA and also graduated from Diablo Valley College in Concord, CA with an Associate Arts Degree in 1973. Soon after college he started his career with US-Posco Steel Industries and worked for 31 years, finally he retired in July 2006. Elder Duffey met his wife to be Sister Betty Reese of Bastrop, LA and they married July 22, 1978. To this union was born four beautiful children, Mercedes, Westley IV, Braxton, and Benjamin. The Lord Jesus blessed him to be a great provider for his family. After working for US-Posco for 31 years he was spiritually led by the Lord to work full time in the ministry to provide aid for his aging father. Elder Duffey’s father, Supt. W. D. Duffey and his mother, District Missionary H. Beatrice Duffey - by his side, found and Pastored Evangelist COGIC for over 55 years. As his father began to age in the recent years he stepped up and continues the work that his father started. His wife of nearly 33 years, Missionary Betty Duffey and the entire Evangelist Church family has been a great help to him. To God be the Glory!